Led by Dr. Erika Hamer and Dr. Casey Means, our team at Ponte Vedra Beach Wellness Center offers comprehensive and individualized services that are safe and effective for men, women, children, and seniors. Chiropractic adjustments may involve high thrust joint manipulations or the lightest touch in specific areas on the spine. No matter what technique used, chiropractic adjustments are pain-free and effective for conditions like back pain, neck pain, and whiplash. They reduce pressure in your spinal system, restore normal alignment, and trigger hormone-mediated pain relief for drug-free care. Do the foods you eat help or hurt your body? 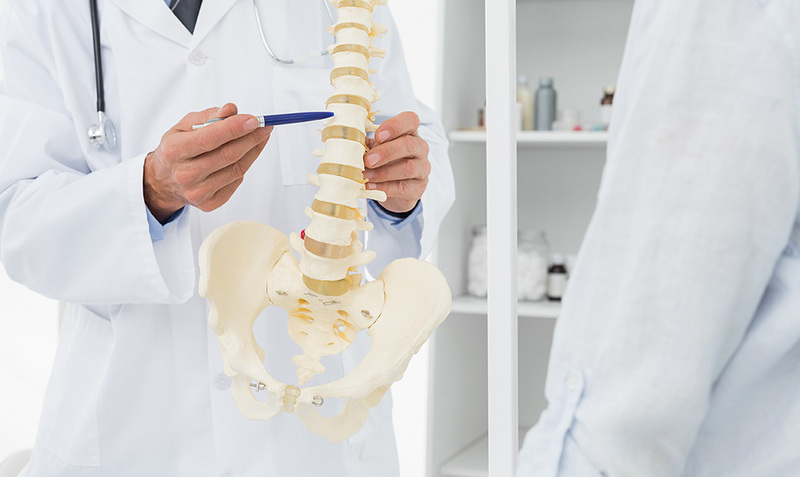 Our Ponte Vedra Beach chiropractors can give you evidence-based insight on supplements, herbs, and other dietary products which can help you maintain a lean body mass, heal injured tissues, slow cellular aging, and improve your overall energy, vitality, and function. Move your body to heal your body! Our team offers individualized instructions on corrective exercises that can improve tissue healing, strength, endurance, range of motion, core stabilization, and coordination. Advance your athletic potential and improve your performance at work or on the sports field. Cold laser therapy is a non-invasive modality that uses light beams to increase cell metabolism, stimulate blood flow, and speed healing. Great for conditions like tendonitis, muscle strains, ligament sprains, and plantar fasciitis. Rhythmic auditory stimulation through a metronome can improve coordination patterns and muscle activation, which maximizes function for a variety of patient populations (post-stroke, Parkinson's disease, athletes, etc.). Decompression and oscillation forces stimulate tissue healing by realigning spinal joints and discs as well as attracting healing circulation to the target area. These therapies feel great and can improve pain in as little as one session. Massage is more than a luxury! Soft tissue and deep massage tissue techniques improve lymphatic drainage, blood flow, and pain management, and can help break up adhesions, scar tissue, and spasms which may be impairing range of motion. Our pediatric chiropractic techniques are extremely gentle and non-invasive for infants, children, and teens. Our services have helped children manage conditions like scoliosis, colic, post-concussive syndrome, and sports injury. Chiropractic care during pregnancy may reduce the risk of pregnancy complications such as breech deliveries and long labor. Prenatal chiropractic care also helps women experience fewer symptoms such as back pain, headaches, and nausea—good for mom and baby! Can Chiropractic Care Help You With Your Health? Contact Ponte Vedra Wellness Center Today! Call 904-273-2691 to schedule an appointment with a chiropractor in Ponte Vedra Beach, or 904-483-2717 to meet with a chiropractor in Nocatee.